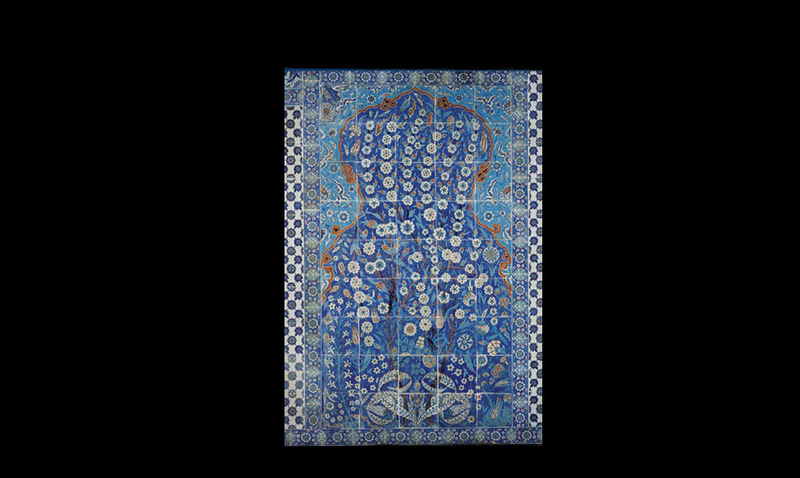 “Faux Iznik”, because the only genuine ones are very ancient and adorn the walls of Topkapi and the mosques of Isbanbul. Unfortunately, the current Turkish output is either too laborious or too skilful, and in any case made to become “souvenirs of Turkey”. Their exorbitant price could encourage people to buy an illicit transfer-printed copy made by machine in Italy, but nobody would want to cover their walls with them. 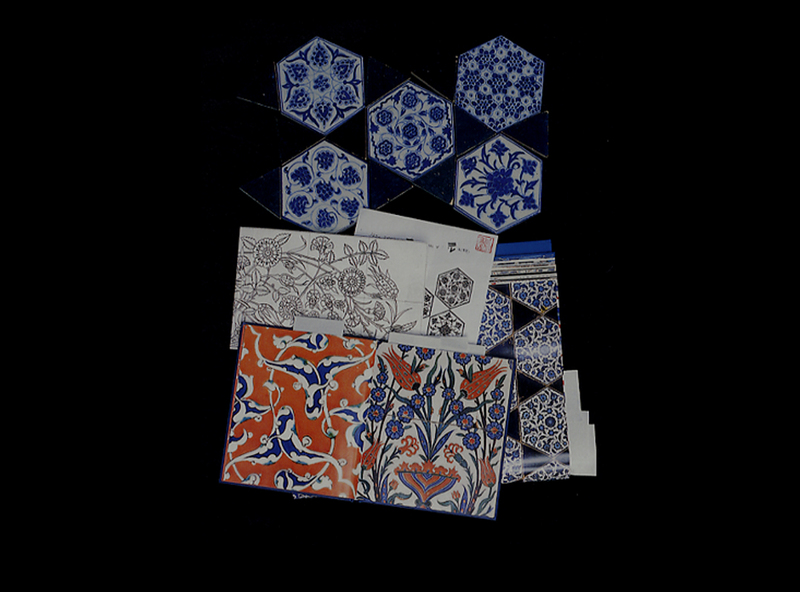 So, I left Istanbul both dazzled by the ancient tiles and disappointed not to be able to add a single tile representing this superb tradition in our catalogue. 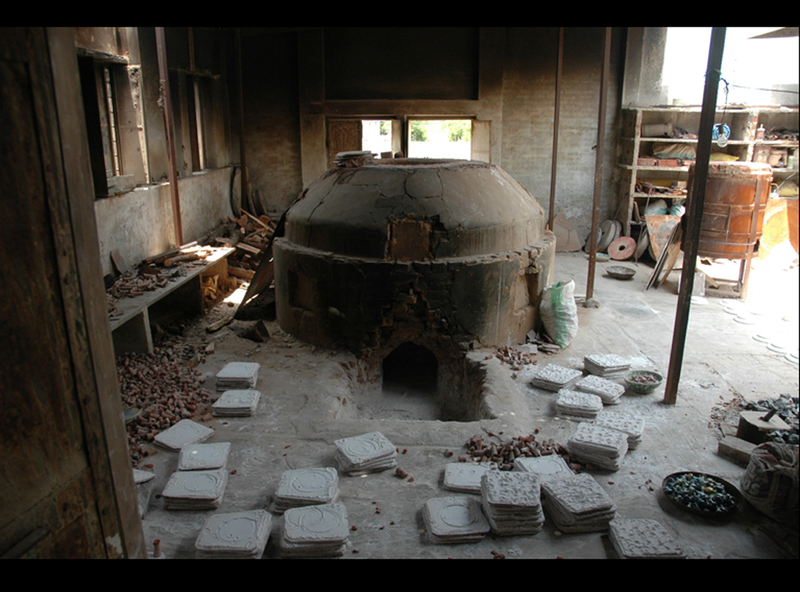 But, having seen the Iznik tiles again, and observed their extraordinary sparkle in the light of my recent tile experience, I realized that there was a similarity between this technique and that of the Indian potters based in Jaipur. I do not know what tortuous route this technique took, but there they certainly use a judicious mixture where quartz and glass dominate, and this is what gives the enamelled surface a sparkle and a depth that are quite different from that of the glaze on terracotta. So, I designed some more or less stylized floral patterns which were still fresh from my meeting with the Izniks. The Indian potters immediatly incorporated them, as they live in such close harmony with the plants and animals that they seem to thrive everywhere, sharing spaces with men in the street, painted or sculpted in every corner available. 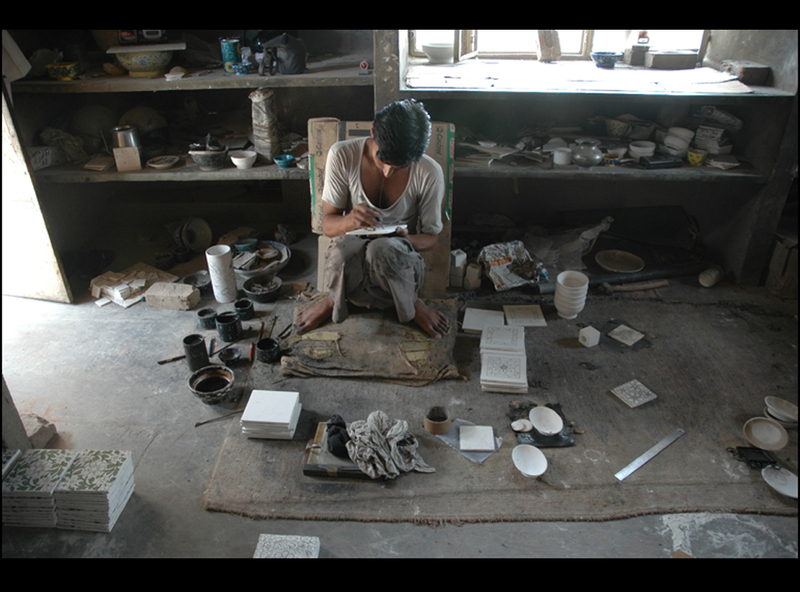 Now, thanks to them, we have tiles painted by hand, with skilful strokes of a brush made of squirrel-tail hair, for the bathrooms of modern-day pashas.